Sooner or later, fans of Navy football will know who to root against when it comes to conference play. The latest shuffle: The Louisville Cardinals will leave the Big East and join the Atlantic Coast Conference, according to an ESPN report, replacing Maryland, which will bolt for the Big Ten in 2014. 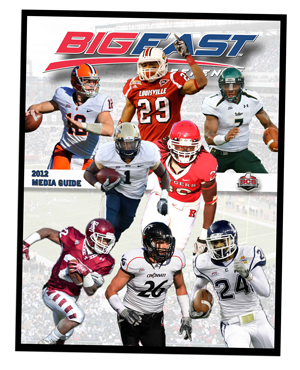 This leaves the Big East with 13 football programs for 2015, Navy’s inaugural season: The Mids; current members Cincinnati, Connecticut, South Florida and Temple; previous expansion announcements Boise State, Central Florida, Houston, Memphis, San Diego State and Southern Methodist; and recent additions East Carolina and Tulane. For those curious, here’s the original slate of Big East football teams in 1991: Boston College (now in the ACC), Miami (ACC), Pittsburgh (going to ACC), Rutgers (going to Big Ten), Syracuse (going to ACC), Virginia Tech (ACC), West Virginia (Big XII) and Temple (kicked out after the 2004 season for underperforming, back this year). Thirteen is a difficult number for scheduling purposes, so expect more expansion and/or contraction between now and Navy’s entrance. BYU is a long-rumored candidate; one CBSSports.com report says the Cougars have rejected an invite, another says the invite hasn’t been made. The league announced its 2013/2014 division alignment earlier this month — an announcement already overcome by events, and one that didn’t address what the league would look like when Navy joined. It does promise more scheduling details following a Dec. 3 meeting of athletic directors; by then, the latest realignment may have settled down and Navy fans may have a better idea of who their conference rivals will be.